Reversing the decline of bobwhite quail populations in the Southeast is an enormous challenge, but a dedicated group of small game biologists and land managers believe they may have a new formula for success. Just a few decades ago, most people living in South Carolina's rural countryside were familiar with the bobwhite quail. In fact, the plump, reddish-brown bird with the sharp two-note whistle was a common sight and sound throughout the southeastern and midwestern United States. Those days are gone. Knowledge of the bobwhite is now largely generational. 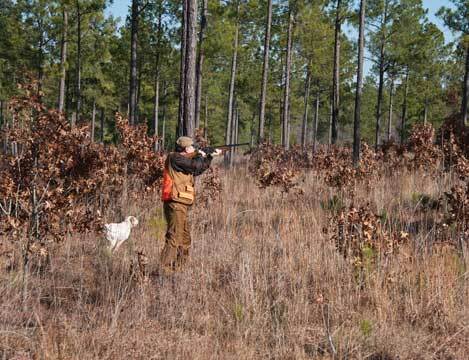 For many older Palmetto State residents, quail hunting was as much a part of growing up as learning to drive, but most younger South Carolinians have never seen or heard a wild quail. Jerald Sholar, South Carolina quail project coordinator for Tall Timbers, a Florida-based nonprofit dedicated to research, conservation and education relating to the southern pine ecosystem, sees himself as being on the cusp of those groups. "I'm forty-two and my father hunted them," says Sholar, "I'm part of the last generation of people who remember them from their heyday. 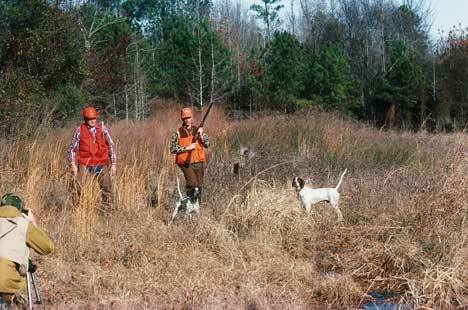 But I also remember my father's last bird dog. He said to me, 'I'm not going to get another because I don't have any more birds to hunt.' "
It's a scenario that has played out with any number of creatures for which there have been drastic declines and, in some cases, subsequent restorations, from turkeys, wood ducks and white-tailed deer to bluebirds, bald eagles and alligators. But quail have been especially hard hit. Their numbers have declined by 80 percent or more since the 1960s, according to most estimates, and their call, like that of the whippoorwill, is just a memory across much of their former range. 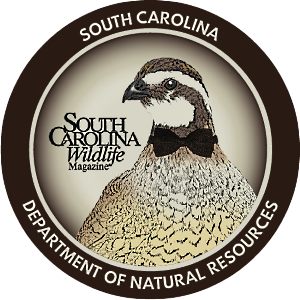 The strongest concentrations of quail remaining in South Carolina are on plantations managed specifically for them along the inner coastal plain, and in pockets of row crop agriculture that provide favorable open-land habitat in the Midlands and Pee Dee. 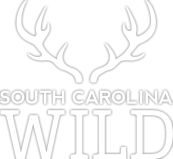 Overall numbers, though, are a far cry from the days when the Palmetto State was, in the words of S.C. Department of Natural Resources Small Game Project Supervisor Billy Dukes, "a hotbed of quail hunting." "The majority of quail hunters during the heyday," says Dukes, "were just hunting as a normal subculture, a byproduct of normal agricultural and silvicultural practices. They were not hunting on quail plantations, but on family farms." Changes in those practices are the primary reason for the species' decline and the main challenge to its widespread reintroduction. Much of the eastern and lower midwestern United States was once prime quail habitat. There were longleaf pine and oak savannas in the Southeast, and prairies and rangelands in the Midwest and southern Great Plains. Grasses and wildflowers providing food and cover were renewed by regular fires sparked by lightning or set by Native Americans. As European settlers moved across the continent, they cleared forests, planted small agricultural plots with weedy edges, and allowed cattle to feed on native grasses. All of that was good for quail, but all of that changed, beginning in roughly the mid-20th century. "The decline of quail since then," says Dukes, "is directly related to large-scale habitat loss, fragmentation and degradation caused by big changes in the way we use the land." Large, clean-edged monoculture crop fields replaced the patchwork quilt of small farms, and pesticides eliminated large numbers of the insects that are a major food source for quail chicks and hens. Many forests went in one of two directions: many open forests with lush, grassy understories that weren't developed for agriculture were simply neglected and allowed to close up, becoming shaded and barren underneath, while intensive plantation forestry on other acreage produced pine monoculture forests similarly unsuited for quail. 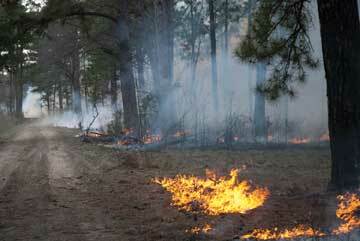 Fire was nearly eliminated as a grassland habitat management tool across most of the quail's range. 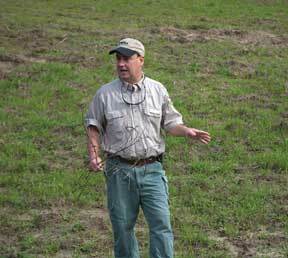 One of the biggest changes, according to National Bobwhite Conservation Initiative Director Don McKenzie, came with the introduction of non-native grasses for use as cattle forage in pastures. "The federal government started aggressively promoting new kinds of highly competitive grasses from other parts of the world for cows beginning in the 1940s and continuing to this day," says McKenzie. "Fescue, bermudagrass and bahiagrass were promoted and subsidized by the U.S. Department of Agriculture as virtual miracle grasses, and they are user-friendly for producers and adequate to good for cows, but they're terrible for quail habitat. In short, whether on crop lands, grazing lands or timber lands, we've disconnected quail from the way we produce [agricultural and forest] products." The cumulative effect of all these land-use changes has been profound, and bobwhite conservation in North America is at a crossroads. "The next few decades may be our last opportunity to halt the declines, stem widespread localized extinctions of bobwhites, and restore populations enough to begin creating new memories for many in future generations," says the Executive Report for NBCI Version 2.0, a newly updated strategy aimed at bringing back quail (read it online at https://bringbackbobwhites.org/). The revised strategic plan represents the unified efforts of twenty-five state fish and wildlife agencies, as well as various conservation groups and research institutions. 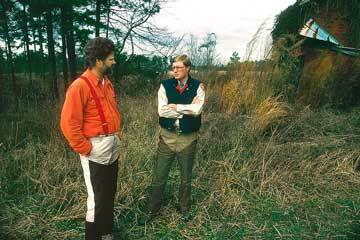 Coordinated by the National Bobwhite Technical Committee, a multi-state group of more than one hundred professional wildlife biologists, managers and academics, the plan sets the goal of bringing wild quail populations back to the levels they were at in 1980. 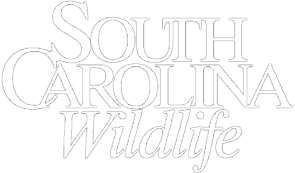 The NBTC has its roots in South Carolina, beginning here in 1995 as the Southeast Quail Study Group. DNR's Dukes, who has been part of the effort since the beginning, credits former DNR Small Game Project Supervisor Breck Carmichael with getting the initial effort started. "Breck felt like there should be a meeting of quail biologists to discuss and collaborate and produce a multi-state approach to the problem," says Dukes. That was the first step. Since 1995, that approach has expanded to include research, fieldwork, education and lobbying. NBCI Director McKenzie often stresses the importance of those last two items to the scientists in the group. "Don's main refrain," says Dukes, "is that we as quail biologists think that quail restoration is about habitat, but more and more we need to realize that it is [also] about people, politics and money." On the political side, the most closely watched bill nationally is the federal Farm Bill, which is up for reauthorization this year. Its importance stems from the fact that it provides more money for conservation practices and affects more private land across more states than any other state or federal program. The focus of the programs supported by the Farm Bill has changed somewhat through the decades, thanks to intensive lobbying by outdoor groups. "Beginning in 1990," says Dukes, "wildlife conservation was identified as an equal objective with soil and water conservation. 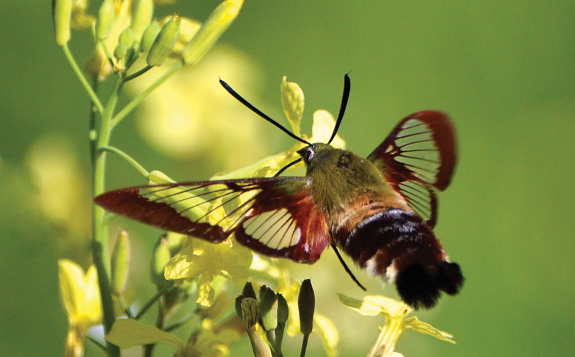 Programs that called for habitat buffers and long-leaf pine planting, among other things, probably would not have happened without the NBTC and other conservation partners like Southeast Partners in Flight." The U.S. Congress is expected to replace the current version of the bill, the Food, Conservation, and Energy Act of 2008, in the near future, and funding for wildlife conservation could be facing major reductions. The version proposed by the Senate trims $23 billion, according to Bridget Collins, NBCI's agricultural policy coordinator. "About $6 billion of that will come from conservation," says Collins, "and about 60 percent of that is from the Conservation Reserve program, one of the most important programs for wildlife and game species." The CRP provides annual rental payments and cost-share assistance to agricultural landowners who establish long-term, resource-conserving vegetative covers on eligible farmland. The Senate proposal reduces the maximum number of acres in the program from thirty-two million to twenty-five million. "This will be a blow for wildlife," says Collins. "We're losing seven million acres, and that does translate into less conservation. Obviously, fiscal times are tough, and this is the trade-off we're presented with." "It doesn't look good, to be honest," adds Sholar. "We have a chance of losing a lot of ground, and that bothers me because we've got farmers in this state who use those programs because they're interested in quail and other wildlife. Those incentive payments are a wonderful way to guarantee that we'll have a little bit of habitat in those parts of the state. Does it make me believe that without it we're going to go backwards? No, because those landowners who really want it are going to continue to do the things they're doing." 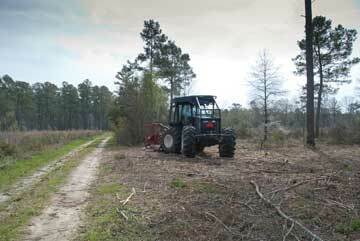 States, including South Carolina, are working with Tall Timbers, the NBCI and others to help individual landowners create and maintain the kind of habitat that quail - and by extension many other species of birds, mammals, amphibians, reptiles and plants - can thrive in. "Predator control, supplemental feeding and all the other factors that can contribute don't become important until we get the habitat right," says Sholar. At that point, though, landowners can take advantage of some promising new methods of boosting populations based on decades of research. "It's no longer just a matter of getting the habitat right and then waiting," Sholar says. "There are techniques we are improving on at Tall Timbers that will help jumpstart populations in a much shorter time than would have been the case otherwise." There are promising larger-scale efforts underway as well. 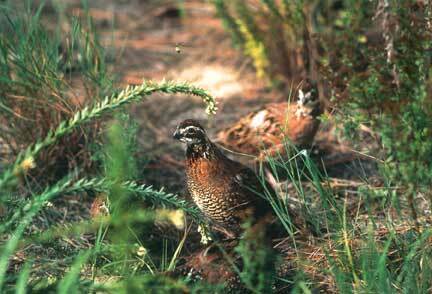 The U.S. Forest Service has used thinning and prescribed fire on eight thousand acres in the Sumter National Forest to improve conditions for quail and other grassland species, and monitoring has documented an increase in quail numbers. In Arkansas, the Forest Service used the same techniques on 100,000 acres of short-leaf pine and bluestem savanna in the Ouachita National Forest and found that quail, red-cockaded woodpeckers and other species rebounded even more quickly than expected. Still, the challenges are enormous. The ninety million acres of historic longleaf pine forest and open savanna that once spread across the southern U.S. providing premium quality quail and grassland wildlife habitat have been reduced to fewer than three million acres. The entire savanna ecosystem itself is endangered. Everyone is aware of the challenges and constraints caused by land fragmentation, continued development, sprawl and changed farm practices. "Even with large tracts, say ten thousand acres or more," says Sholar, "we are still looking at islands of habitat in a sea of hostile territory, if you will. I think that the best we can hope for is pockets. My hope is that here in the Lowcountry, where we've still got fairly large contiguous tracts owned by families, that we can help those individuals see that they have a choice. We're hoping that's going to catch on, and we're going to have a few hundred thousand acres in the Lowcountry and Midlands on into the Piedmont. There is still pretty good land that isn't very populated, and within those areas you have the opportunity to create pretty good quail populations. Farmers can be shown how to be more quail friendly." "The good news," adds McKenzie, "is that we know how to reconnect quail and working lands - on crop lands, on grazing lands and on forest lands. The trick is to do it on a big enough scale. We're not trying to create hands-off preserves or refuges, just make reasonably modest adjustments to how working land is being used, so that it can produce both commodities and quail." Their efforts and the optimism behind them bode well for the future of wildlife conservation in general. "Good quail habitat is good wildlife habitat," says Sholar. "We are absolutely having an impact on other species of concern like the loggerhead shrike, red-cockaded woodpeckers, buntings and others who require early successional habitat." Both Tall Timbers and the NBCI remain committed and guardedly optimistic. "There is hope for bobwhites," says McKenzie. "We've got a lot of work to do, but I see a path to success. Otherwise, I wouldn't be here."